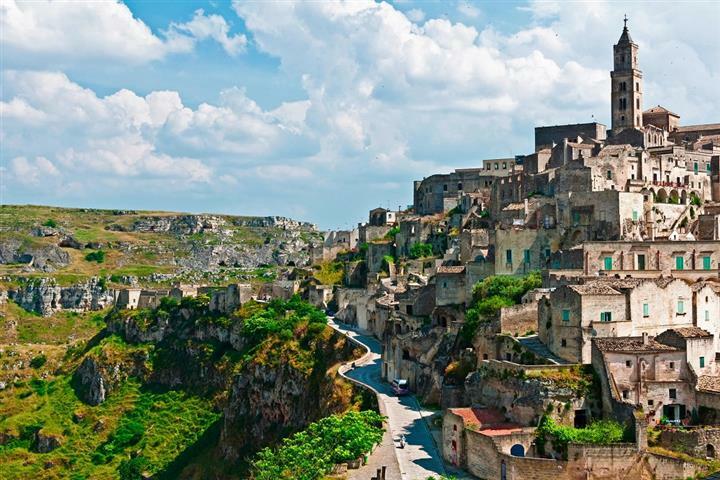 Houses in Matera, Basilicata For a long time unknown, forgotten even, the Basilicata area regained its status thanks to the 7th art. Many directors, impressed by its originality and hidden riches, chose it as a natural setting for their films. Matera, which is said to be one of the oldest cities in the world, is somewhere you absoluely must discover with its troglodyte habitat and its Rupestrian churches. Not to be missed either, Maratea, a beautiful village on the Tyrrhenian coast dominated by the astonishing silhouette of Christ the Redeemer overlooking a beautiful coastline with small beaches and coves. And this is only a fraction of what you can discover in this unusual region. So go and visit before it gets too crowded. And why not buy a villa or apartment? The real estate market in Basilicata is currently accessible for all budget levels.